Full details of Poultry Breeder Sals Pure Breeds. We are a small family run business, and have a few chicks and hens for sale, from 1 day to 14 weeks, call for to check current stock. Small family run business with over 20 years of breeding. We supply rare, traditional and pure bred poulty. We have Free Range breeding pens and can supply fertile hatching eggs up to and including point of lay pullets or breeding trios. I am a small breeder specialising in quality dual purpose breeds and rare breeds to exhibition standard. Please feel free to call or email for a list of available stock. Raising Cream Legbar and breeding is not just a hobby it is an addiction. I've been breeding Cream Legbars since 2004 and over the past ten years, I have successfully maintained the breed standard and powder blue egg laying capability of this famous auto sexing breed. 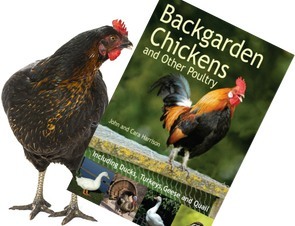 I am a hobby poultry breeder and specialise in the rarer breeds. Copper Blue Maran cockerel running with blue splash, blue and copper blue hens, lovely dark egg laying strain, hatching eggs £1 each, chicks and hens sometimes available. Salmon faverolles, nice big birds from quality breeding, hatching eggs £1 each, chicks and hens sometimes available. We predominantly keep Muscovy ducks as a hobby They make great pets and they are quiet as they 'peep' instead of quacking. They are good layers and can be kept for the table. They are happy with some access to water and a grassy area to forage. Selection of ages and sexes available. We also keep a selection of chickens including Cream legbars with a single Legbar cockerel running with everyone so please ask for available hatching eggs and chickens. Quality poultry bred in the Monmouthshire countryside to conform to the breed standards. Please email to enquire and I will provide further details then. I regularly update my current stock on my website. Different ages supplied.